to list items on the internet for the scam. eBay sent this message to Buyer. This mail is confirmation that you were successfully registered as buyer in transaction # 23475HTYU978657. Your transaction manager is Thomas Greg. 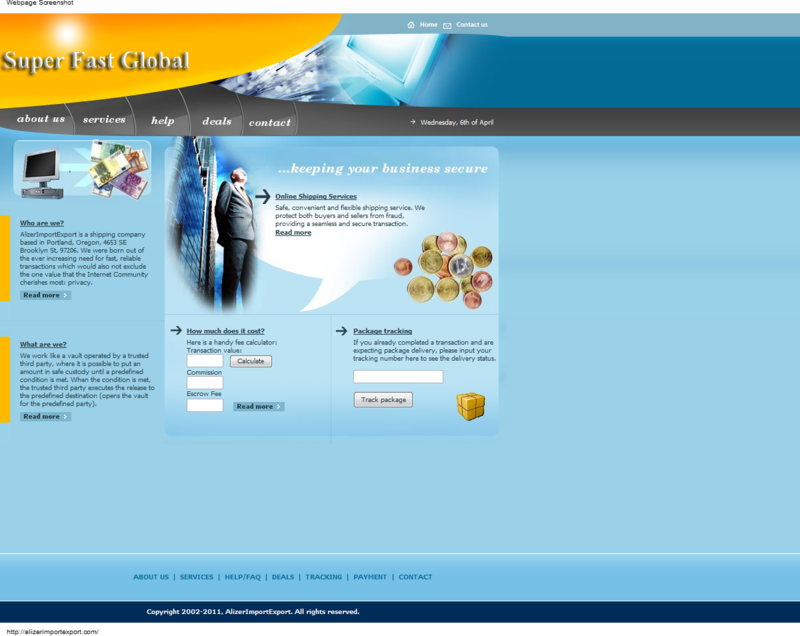 You are about to participate in a fast, efficient and secure transaction. eBay Purchase Protection Program is the independent third party that will be overseeing the inspection, ownership transfer, and securing and disbursing the funds. Please follow our instructions in order to complete the transaction safely. eligible for all eBay services associated with a transaction, such as fraud protection. Pay for your eBay purchase through Western Union Money Transfer. We know that we learn all our eBay member to use services like pay pal as a secure way of payment in this case the seller is unable to receive the payment through pay pal so we find Western Union as the faster way for you to complete the payment. 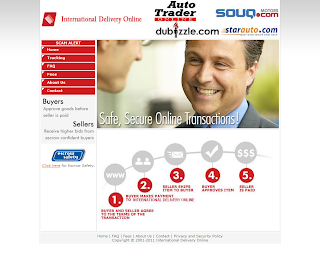 We have verified the seller and you can be sure that you are full protected in case that something goes wrong. 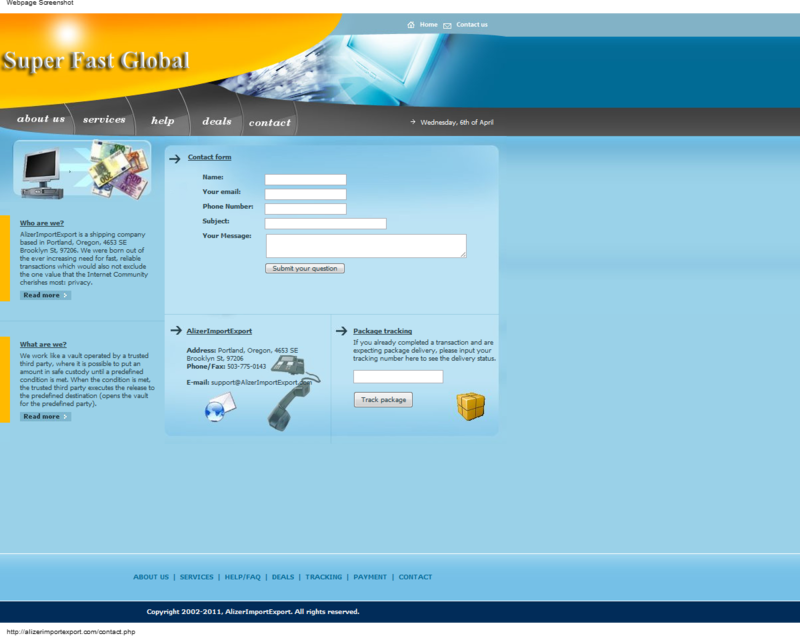 In this case you can use Western Union as a secure way of payment. Payment must be submitted via Western Union Money Transfer to an eBay Financing Center Agent in charge of this transaction. The eBay Financing Center Agent will secure the payment until the Buyer receives, inspects and accepts the vehicle. Or, if it will be the case, the Agent will refund the payment to the Buyer. Where to send the payment details? 5. After the inspection period is over (5 business days), the Buyer must contact eBay with the result of the inspection. If the Buyer refuses the vehicle, he will receive the refund only after the tracking number for the returned shipment is verified. If the Buyer accepts the vehicle, the payment will be sent to the Seller within three (3) business days. The eBay Purchase Protection program protects your vehicle purchase against fraud and material misrepresentation. 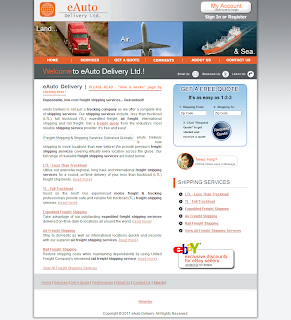 This program is provided by eBay for FREE on all eligible vehicle transactions completed trough eBay. There's no sign-up, opt-in, or registration necessary. Your vehicle purchase is protected for up to $50,000.00 US or the vehicle purchase price, whichever is lower. The program covers Cars, Trucks, Motorcycles, ATVs, Go-Karts, Scooters, Mopeds, Personal Watercraft, Snowmobiles, Boats, Buses, Commercial Trucks, Race Cars, RVs and Campers, Trailers. For any questions please contact eBay-Motors@vpp-customer-support-online.com. The scammer is pretending to be eBay and sending emails to intended victims using that email address. The scammer is presently listing fake ads for a 17" Apple Macbook Pro on Craigslist. The buyer receives the merchandise and has five days days to inspect it. If it is as described, the buyer should accept the merchandise. If he refuses the merchandise, the buyer must ship the merchandise back to the seller within three business days and the costs will be supported by the seller. Due to sellers relocation his/her PayPal account is currently unavailable.To complete the transaction you must send the payment by WesternUnion Money Transfer to our verified agent. Send the payment using eBay Agent's payment details found below. However, WesternUnion Money Transfer is designed mainly for sending cash to friends and family in need, so telling them you are sending the money to an eBay agent will involve additional cost, so we suggest that you tell them that the funds are for a friend. Your item purchase is protected for up to $5,000 or the item purchase price, whichever is lower. The funds will not be released under any circumstances. We will hold the payment until you will send us your confirmation that you have received, inspected and you agree to keep the item. When we will have your confirmation we will transfer the funds to the seller. What Does the Purchase Protection Program Cover? When payment is received, it will be verified and secured into a non-interest bearing trust account. Payment verification process usually takes between 24-48 hours. After payment is secured, the Seller is authorized to ship item. Your funds will not be released to the Seller until you have received and approved the item you are purchasing. The Buyer receives the item and has 5 days to inspect it. If it is complete and as described, the Buyer should accept the item , If he refuses the item, the Buyer must ship the item back to the Seller within 5 business days and the Seller will support the shipping charges. After the inspection period is over, the Buyer must contact eBay with the result of the inspection. If the Buyer refuses the item, the refund will be sent to the Buyer after the tracking number for the returned shipment is verified. If the item is accepted, eBay submits the payment directly to the Seller within 3 business days. 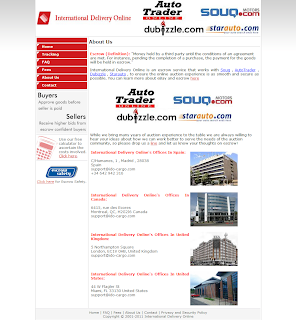 The site is targeting renters mostly from German speaking countries. Remember you are sending your personal information to criminals. I just read your e-mail regarding my apartment for rent. I bought this apartment for my daughter during her studies in Germany, but now she's back home permanently, so I'm renting the place for unlimited time. The flat is fully furnished and renovated, exactly like in the photos. Also, very important, the utilities (cold/hot water, electricity, wireless broadband Internet, digital TV, 2 parking spots in garage, air conditioning, dishwasher, garbage disposal, microwave, refrigerator, washing machine, etc.) are included in the price of 550 EUR/month. The kaution is also EUR 550,00, and you get it back, when you decide to leave the apartment (you will have to give me at least 30 days notice). As for me, you can rest assured that I will never ask you to leave the apartment. 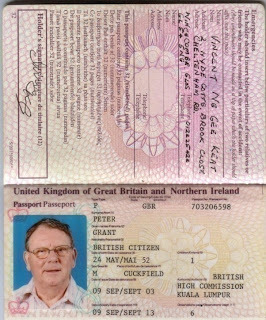 Now, a little bit about myself: My name is Peter Grant and I'm a 58 years old graphic designer from Oxford, planning to retire in the next 2 years. I have a lovely wife, Christine and a 25 year old daughter, Linda. I am very proud to say that soon I'm going to be a grandfather :). Another member of our family is an 6 year old Labrador which we all love, so, I won't mind if you will keep pets. The only inconvenience is that my job doesn't allow me to leave Oxford even for one single day. We just hired some new staff and I'm in charge of their training. But this won't affect you at all. I can make arrangements to rent the apartment from Oxford (on my expense of course). As I said, the total price which you'll have to pay for one month of rent (warm miete) will be €550, no additional costs. The rent will be paid monthly, directly to my British bank account. Since I am unable to come to Germany personally, and my daughter is already back here, I've hired a major real estate agency from Oxford, specialized in international rentals, to represent me. This agency will handle the delivery of the keys, the inspection of the flat and also the payment . 1 - To start this transaction, I need your full name, address and telephone number. I will also need to know the rental period so I can put it in the contract. 3 - EZ Rentals will check the documents to make sure I am the actual owner of the flat, then, they will send you an invoice (rechnung). 4 - At this point you'll have to pay the kaution (550 EURO) as a security deposit to EZ Rentals, according to the instructions from the invoice. This will be a guarantee that they don't send an agent all the way to Germany for a joke. The deposit will be just a formality, and it will not commit you to renting the flat. The money will remain in the custody of EZ Rentals until you have checked the flat and confirmed that everything is ok.
5 - After you pay the deposit, and send them the details, EZ Rentals will send an agent to Germany in the next 24-48 hours (Monday to Friday) to meet you and help you inspect the flat. .
You can also decide which date and time will fit your schedule best for the inspection. However, if you are not pleased with the apartment for any reason, the EZ Rentals agent will give you the money back on the spot, and I will get my keys and documents back. I will pay for the services of the agency, so there will be no extra costs for you. Also, in case you have another apartment right now, and you cannot move out immediately, we can make the deal as I explained it now, and consider it only an inspection and reservation. You will move in when you are ready and pay the first rent then. If you want to begin, please give me the details which I requested above, so I can make the arrangements. I have attached a copy of my passport to this email as a sign of good faith. I am waiting for your quick response, because there are several others interested in the apartment, and I need to know if I can count on a deal with you. 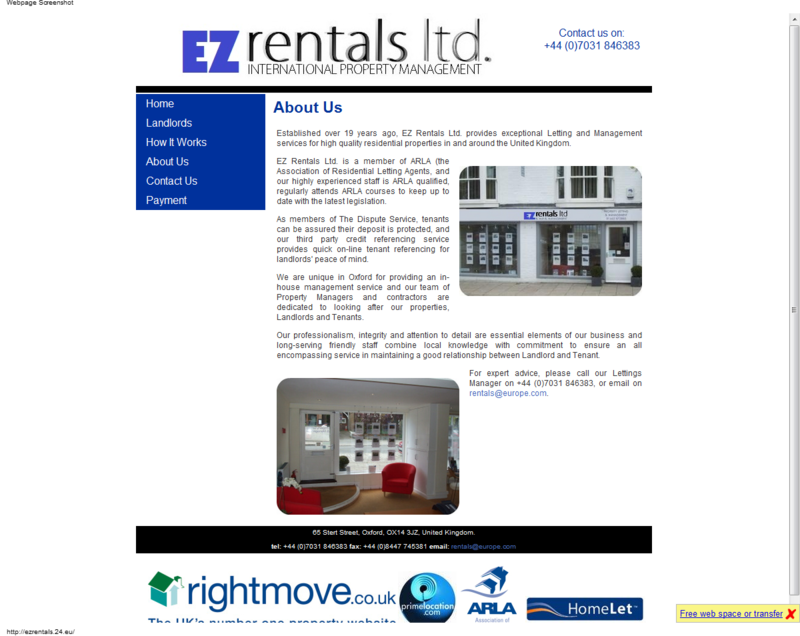 EZ Rentals specialises in providing Letting and Management Services for high quality residential houses and flats. • the general house rules (which also define the repairs that the landlord is responsible for and those which you have to pay for). Once the contact is signed both parties are legally bound by it. Before signing, it is therefore essential to carefully read and understand the document even though they are usually long and difficult to read. Most landlords ask for a deposit which is refunded when you move out, along with interest earned . However, if damage has occurred to the accommodation the landlord is allowed to withhold the sum required to repair it from the deposit. The deposit can legally go up to three months basic rent plus 16% VAT. However, many landlords only require a deposit equivalent to 1 or 2 months of rent. The landlord must ensure that you receive the current rate of interest for the whole rental period. Rent, is the amount paid to the landlord every month. Additional costs depend on the apartment and its location and are individually detailed in the contract. Additional costs such as heating, gas, water and electricity costs are usually dependent on personal usage and are paid monthly at a predetermined fixed rate. Meters are read yearly and you are refunded by or pay extra depending on what you have used. Other additional costs (such as garbage disposal, street and house cleaning) depend on the size of the apartment. In some cases, especially in old apartments, this can also apply to some of the individual costs stated above. For example, if a house doesn't have individual measurement of heating for each apartment, then the total cost is split between the apartments according to their relative size. Most landlords expect rent to be paid by automatic bank transfer or standing order; this is usually specified in the contract. House care taker: In houses with a number of tenants, there is often a house caretaker and manager. The caretaker and manager are responsible for keeping everything running and organizing repairs. Winter Service and Street Sweeping: If there is no caretaker then residents are legally obliged to remove snow and ice from in front of their house during winter. This is generally stated in the rent contract. If tenants are responsible for removing snow and ice then they are liable for all injuries incurred if they fail to meet their obligations. In some regions the streets also have to be swept once a week. House Pets: Whether or not pets may be kept in an apartment must be discussed with the landlord and should form part of your rent agreement. If a tenant wants to have a pet in the flat where they already live then the rent contract or the landlord should be consulted to see if this is allowed. House pets are dogs, cats, birds, hamsters, etc. There are certain periods of notice valid for rental agreements. This period applies if either you or the landlord wish to terminate the rental agreement. However, the landlord cannot cancel the rent contract without a reason. The legal period of notice on open-ended rent contracts is three months. Our Lettings Manager would be pleased to discuss the letting of your property. We would be happy to provide information on RENT GUARANTEE, LEGAL PROTECTION, INSURANCE, and appropriate documentation for our Landlords who are moving overseas and receiving rental income from their UK property. We are specialist letting agents and are delighted to handle properties at all price levels. Our clients are both corporate and private, professional and with families. If you have a property you are thinking of letting and you would like to arrange a valuation appointment with our Lettings Manager, please give us a ring, or complete the form and we will be in contact. Both parties agree to terms, which includes a description of the property, rent price, rent terms, number of days for the Tenant's inspection. 1. The Tenant will provide the Owner with his address and contact details. 2. The Owner will initiate a rental transaction by dropping off the property's keys and documents to an EZ Rentals agency along with the tenant's shipping details. 3. 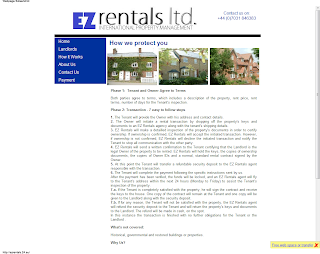 EZ Rentals will make a detailled inspection of the property's documents in order to certify ownership. 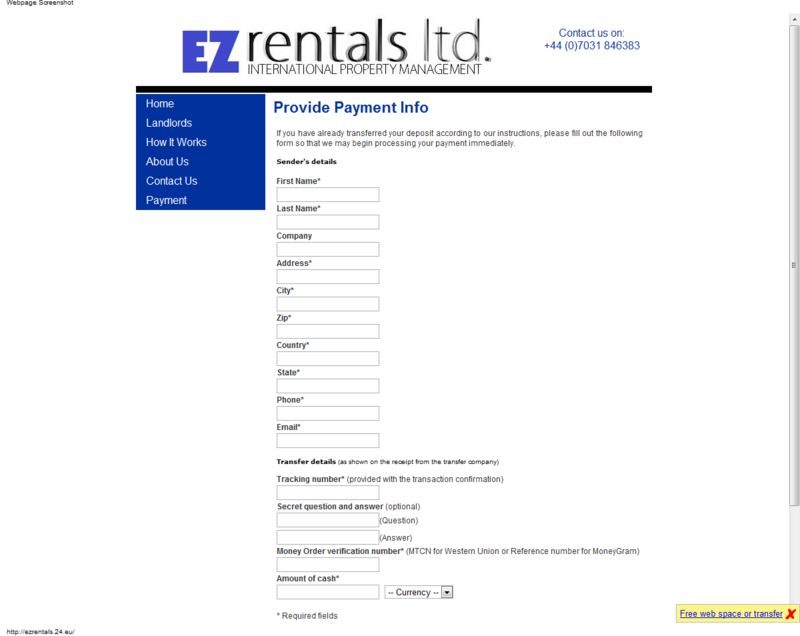 If ownership is confirmed, EZ Rentals will accept the initiated transaction. 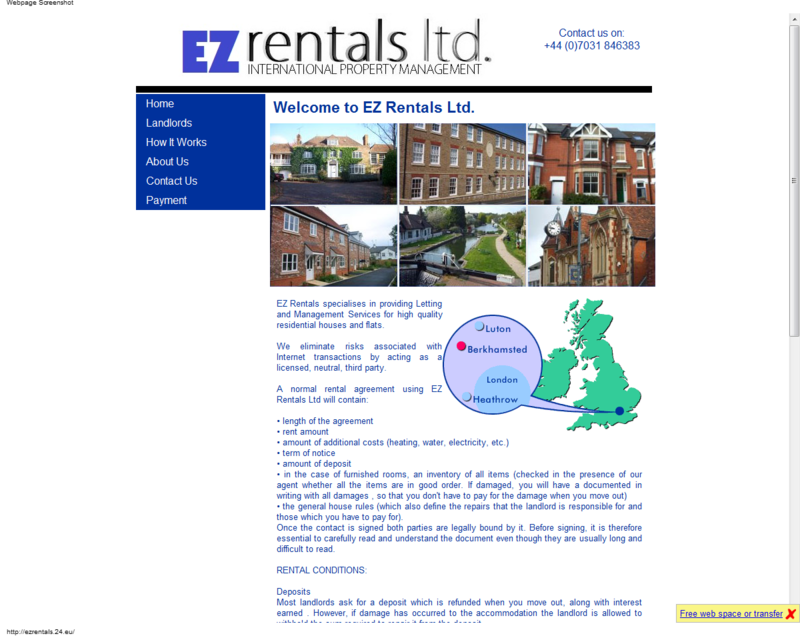 However, if ownership is not confirmed, EZ Rentals will decline the initiated transaction and notify the Tenant to stop all communication with the other party. 4. 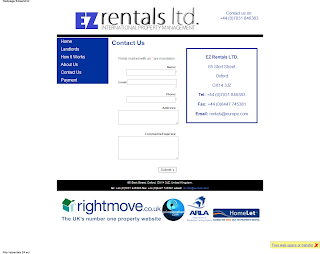 EZ Rentals will send a written confirmation to the Tenant certifying that the Landlord is the legal Owner of the property to be rented. 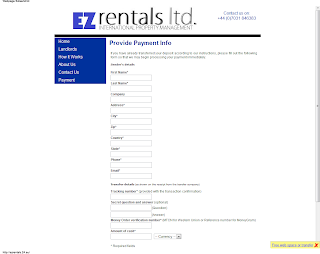 EZ Rentals will hold the keys, the copies of ownership documents, the copies of Owner IDs and a normal, standard rental contract signed by the Owner. 5. At this point the Tenant will transfer a refundable security deposit to the EZ Rentals agent responsible with the transaction. 6. The Tenant will complete the payment following the specific instructions sent by us. After the payment has been verified, the funds will be locked, and an EZ Rentals agent will fly to the Tenant's address within the next 24 hours (Monday to Friday) to assist the Tenant's inspection of the property. 7.a. If the Tenant is completely satisfied with the property, he will sign the contract and receive the keys to the house. One copy of the contract will remain at the Tenant and one copy will be given to the Landlord along with the security deposit. 7.b. 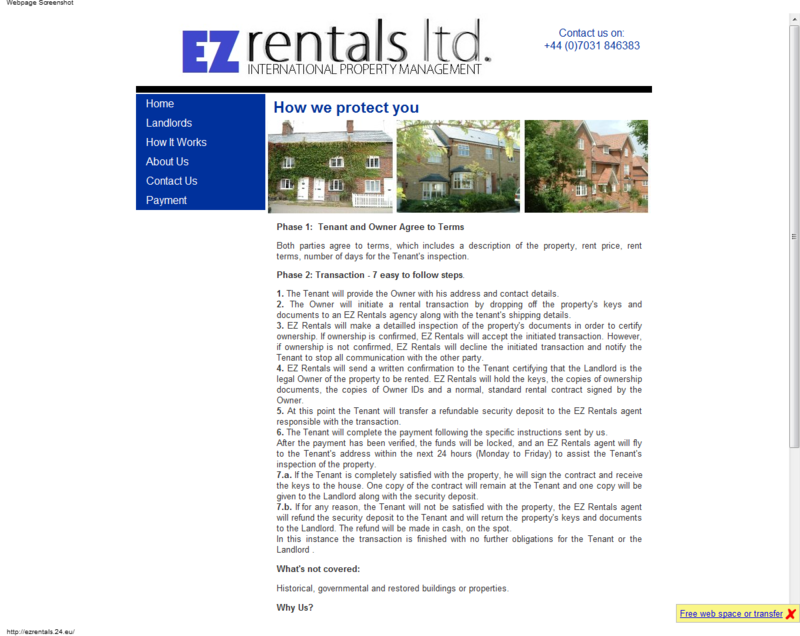 If for any reason, the Tenant will not be satisfied with the property, the EZ Rentals agent will refund the security deposit to the Tenant and will return the property's keys and documents to the Landlord. The refund will be made in cash, on the spot. In this instance the transaction is finished with no further obligations for the Tenant or the Landlord . Historical, governmental and restored buildings or properties. As members of The Dispute Service, you can be assured that your deposit is protected, and our third party credit referencing service provides quick on-line tenant referencing. 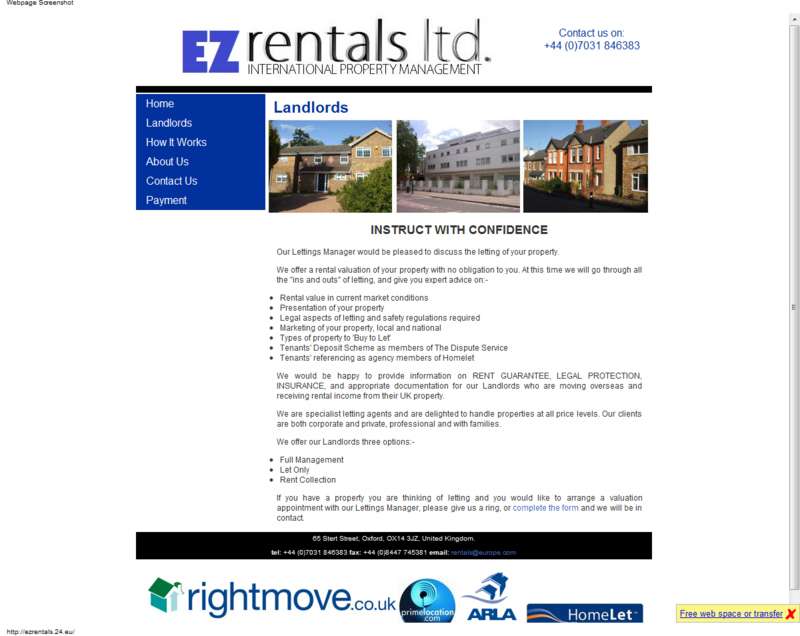 We are unique in Oxford for providing a complete in-house management service and our team of Property Managers and contractors are dedicated to looking after our tenants throughout their Tenancy. You will be advised at the outset if the property you have chosen to rent is managed by Home and EZ Rentals or by the Landlords themselves. If you need more information, please fill out our Contact Form. 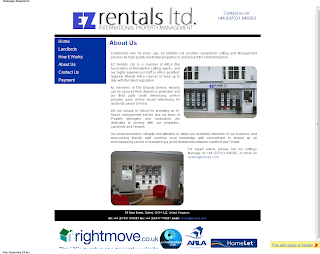 About UsEstablished over 19 years ago, EZ Rentals Ltd. provides exceptional Letting and Management services for high quality residential properties in and around the United Kingdom. 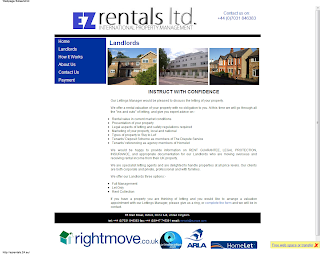 EZ Rentals Ltd. is a member of ARLA (the Association of Residential Letting Agents, and our highly experienced staff is ARLA qualified, regularly attends ARLA courses to keep up to date with the latest legislation. We are unique in Oxford for providing an in-house management service and our team of Property Managers and contractors are dedicated to looking after our properties, Landlords and Tenants. For expert advice, please call our Lettings Manager on +44 (0)7031 846383, or email on rentals@europe.com. 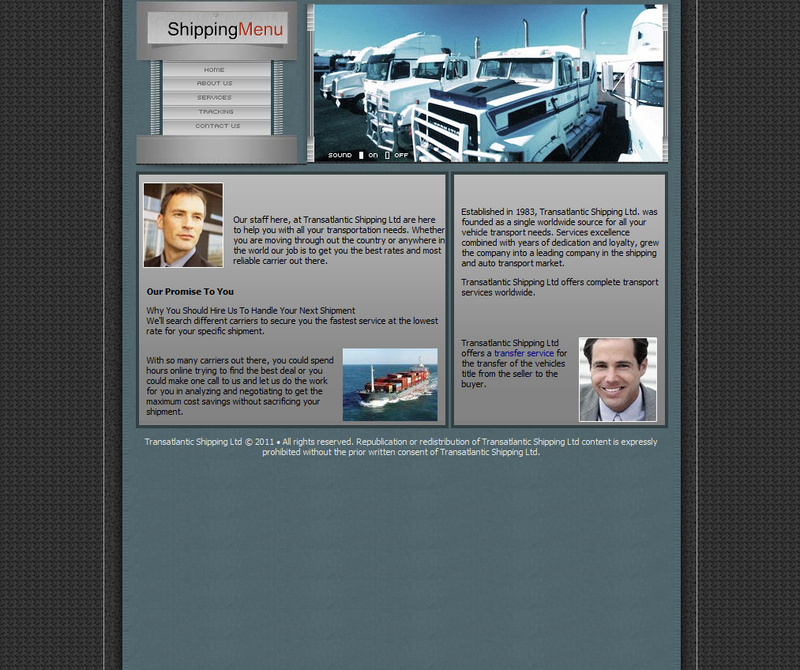 transatlanticship.com is a fake shipping and escrow site run by Romanian scammers. ....and coincidentaly targeting car buyers in the UK. The scammers usually use bank transfers as methods of payment. HOURS OF BUSINESS: 9 AM - 5 PM WEST!! world our job is to get you the best rates and most reliable carrier out there. 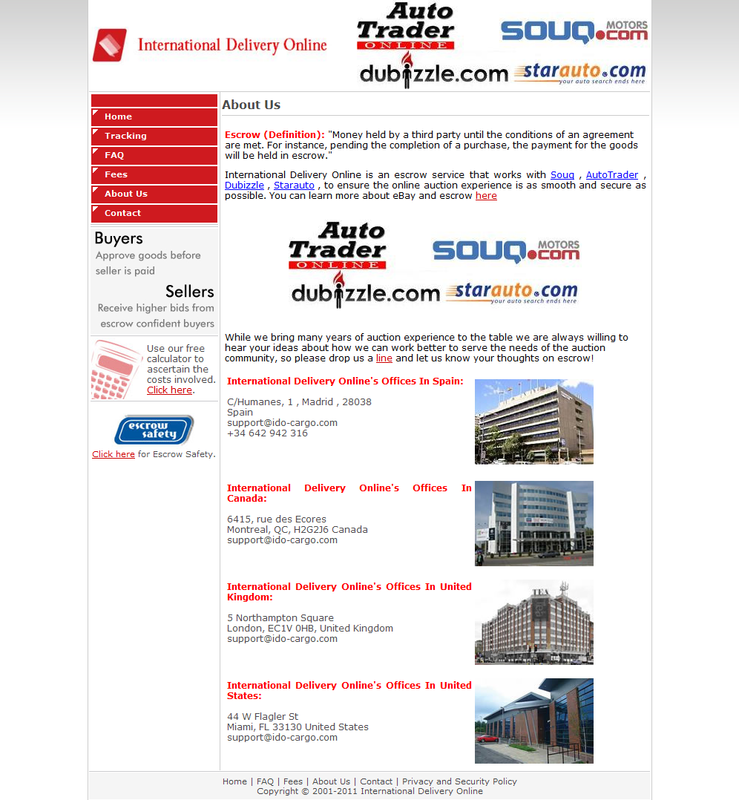 We'll search different carriers to secure you the fastest service at the lowest rate for your specific shipment. 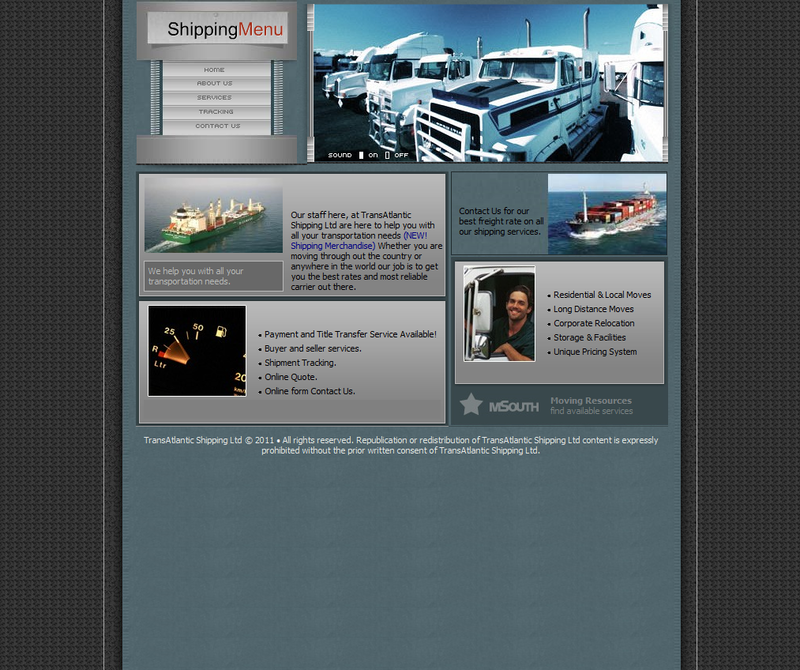 negotiating to get the maximum cost savings without sacrificing your shipment. 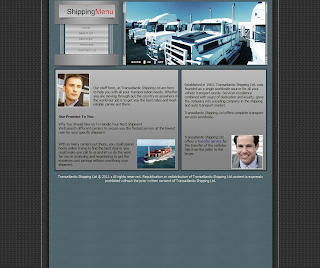 of dedication and loyalty, grew the company into a leading company in the shipping and auto transport market. 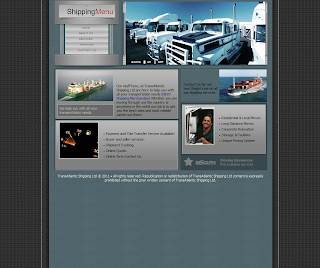 Transatlantic Shipping Ltd offers complete transport services worldwide. 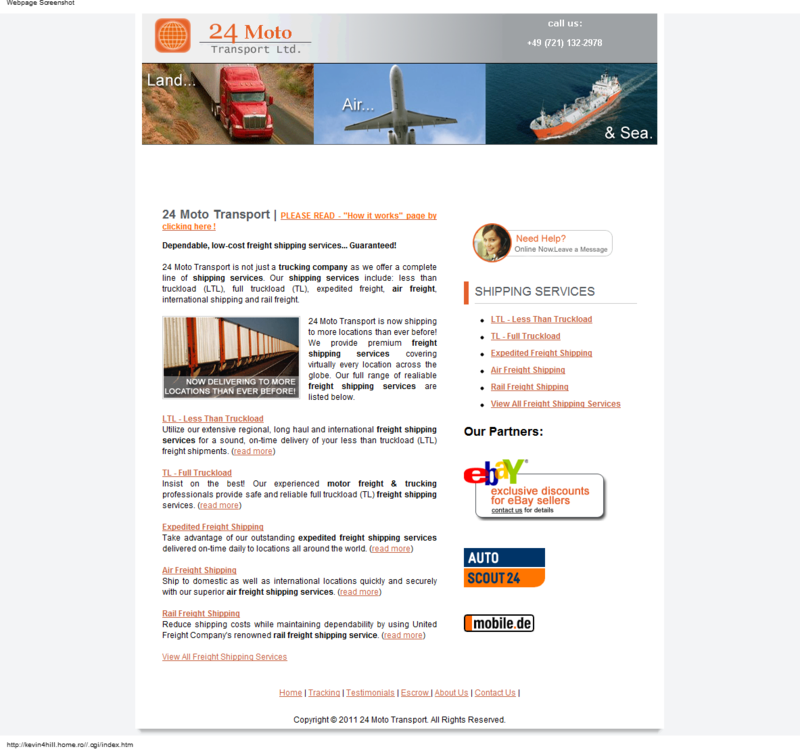 Transatlantic Shipping Ltd offers a transfer service for the transfer of the vehicles title from the seller to the buyer. 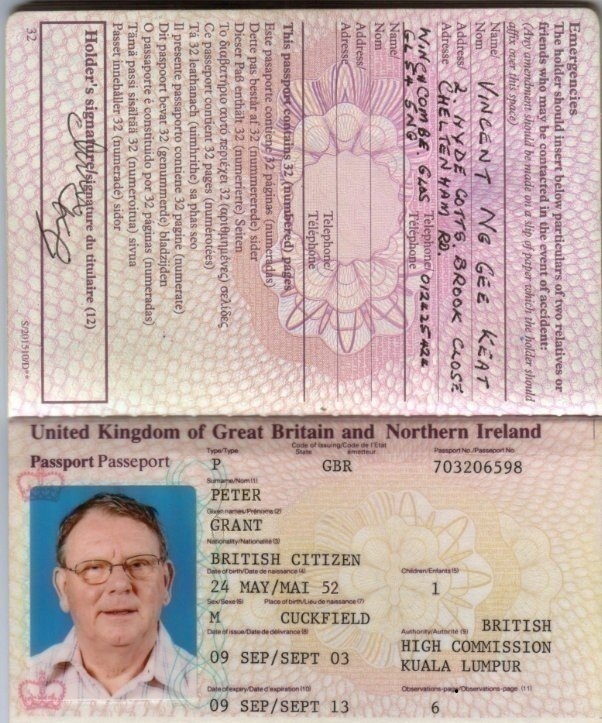 can verify that the seller's title for the vehicle is on hand with an independent party, TransAtlantic Shipping Ltd, prior to releasing the payment for the vehicle to the seller. 1. The buyer and seller agree to use the TransAtlantic Shipping Ltd transfer service for title transfer. 2. The seller sends the vehicles title signed over to the buyer to TransAtlantic Shipping Ltd. The title should arrive at TransAtlantic Shipping Ltd along with the vehicle. 4. TransAtlantic Shipping Ltd gives the title to the buyer and takes care of the paperwork that needs to be done for registration etc. 1. The buyer and seller agree to use the TransAtlantic Shipping Ltd transfer service for payment transfer. should arrive at TransAtlantic Shipping Ltd within 2 business days. Please contact us for payment terms and details needed. 3. Upon receipt of the funds, TransAtlantic Shipping Ltd notifies the seller that the funds are on hand with TransAtlantic Shipping Ltd.
4. 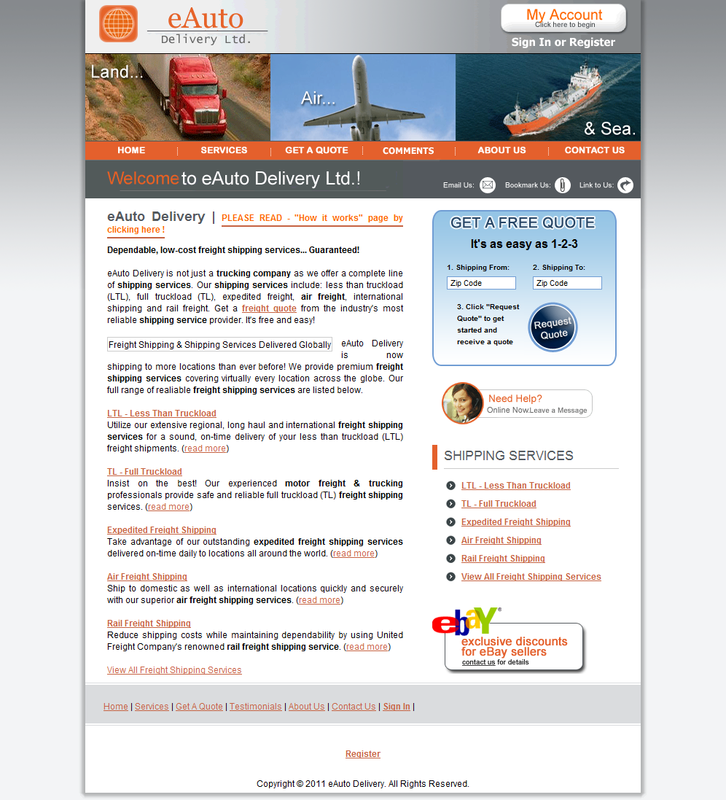 Once the shipper receives the vehicle, the seller is required to contact the buyer to let him/her know the vehicle has been picked up by the shipper. responsible for verifying the pick up and delivery of the vehicle. that needs to be done for registration etc. The charge for the TransAtlantic Shipping Ltd transfer service is included in the shipping fees. buyer and seller agree to use these services and that both the buyer and seller concur with the terms and conditions of these services. elite-ltd-shipping.com is a fake site hosted by Yahoo. 2. Buyer makes payment to Elite Ltd Shipping. The seller can initiate a transaction on http://www.elite-ltd-shipping.com/ we will then contact the other party and ensure everyone is in agreement. Review stages let everyone agree on the details. 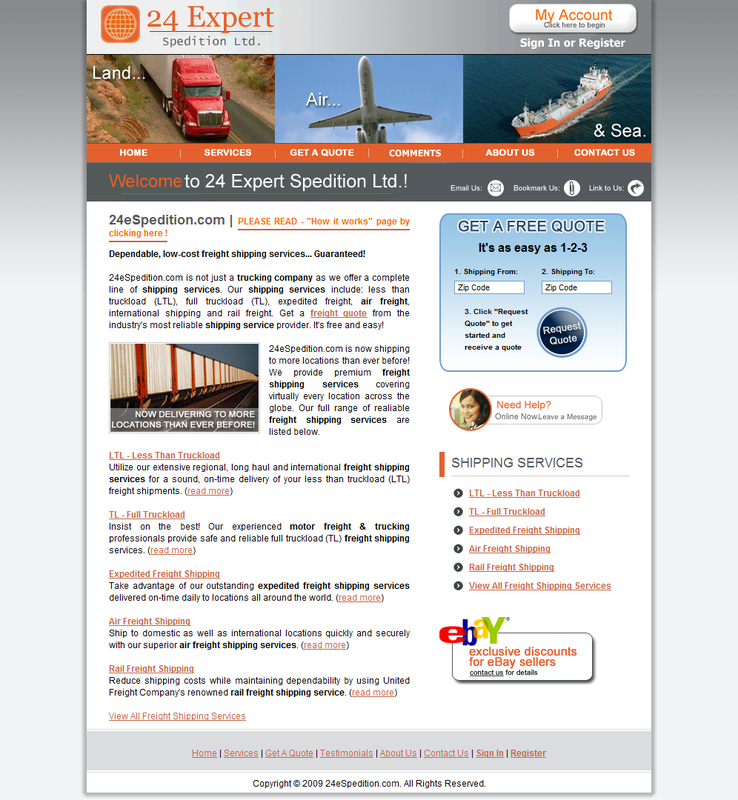 With all details of the transaction confimed the buyer can make payment to Elite Ltd Shipping. We accept Bpay and Direct Deposit. Elite Ltd Shipping will never send this information directly in an email, our secure SSL encrypted site is a much safer way of transferring information to our users. As soon as the buyer has accepted the goods Elite Ltd Shipping notifys the seller to login and nominate their preferred bank account details. I cant receive email from Elite Ltd Shipping, whats going on? Yes, Elite Ltd Shipping is happy to work with overseas sellers or buyers. You may wish to include elite-ltd@live.com in you Spam 'accepted' list if you are using anti Spam technology. 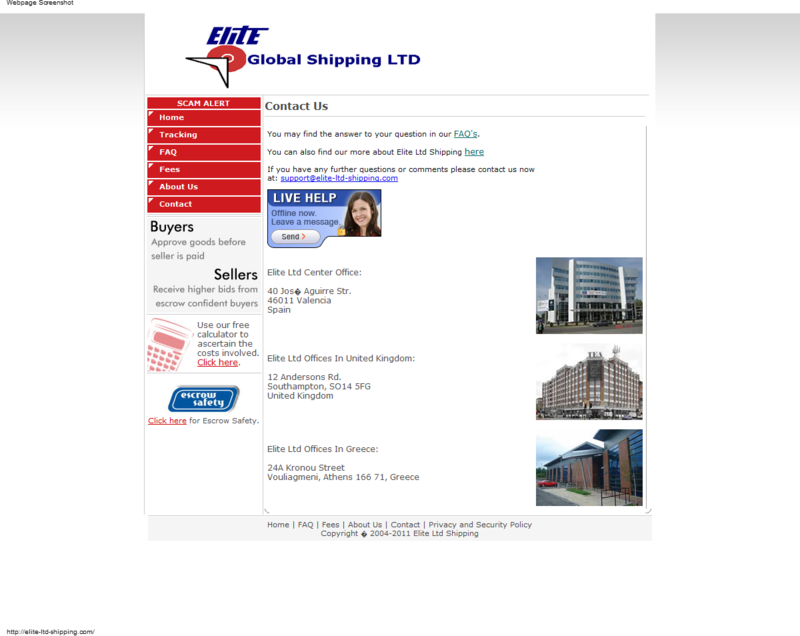 How can i make my payment to Elite Ltd Shipping? 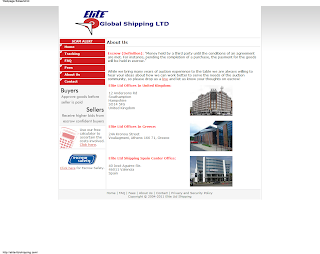 Can Elite Ltd Shipping pay International Sellers? 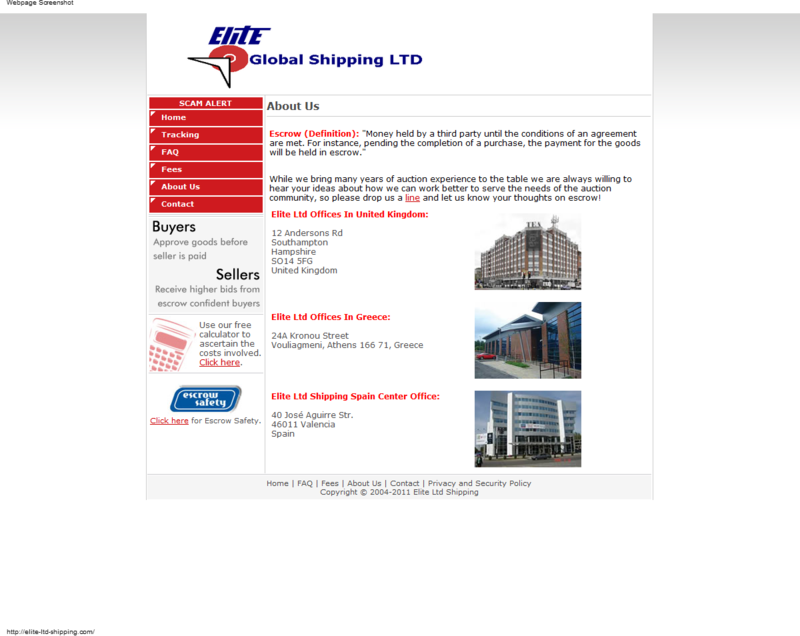 Does Elite Ltd Shipping accept foreign currency? Elite Ltd Shipping accepts only direct deposit transfers. 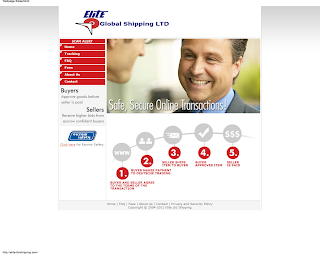 Elite Ltd Shipping is unable to accept direct credit card payments. Elite Ltd Shipping is able to make payment to overseas sellers in the EU, US Singapore and Hong Kong. Elite Ltd Shipping only accepts CAD, AUD, USD , GBP and EURO. eautodelivery.com is a new fraud site hosted by GigaOnline.